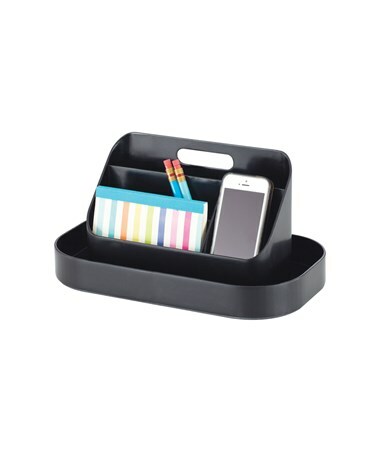 The Safco Portable Caddy is a compact organizer for keeping desktop essentials such as pens, pencils, paperclips, notepads, sticky notes and handheld devices. 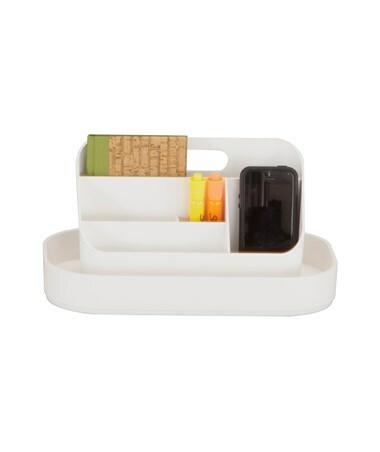 It features six differently sized compartments for additional storage. 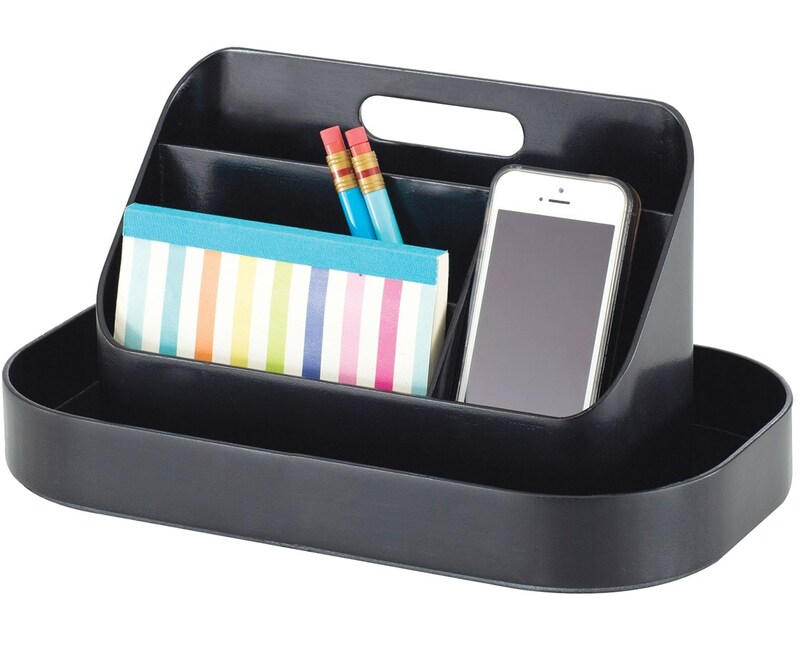 It also has an integrated handle for easy transport while keeping the items in place. Its compact size makes it portable and not take up too much desk space. 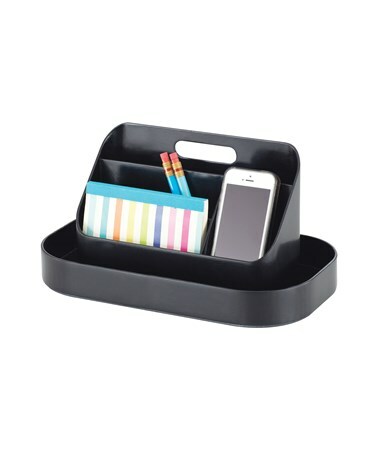 This organizer is made of plastic and is ready to use without assembly needed. The Safco Portable Caddy is available in two different colors. Please select your preference from the choices above.